A reliable source for Equipment Platforms information and a resource for accessing leading Equipment Platforms and suppliers. In the manufacturing world there is a lot involved in the material handling and overall manufacturing process that requires the product or equipment to be elevated. These platforms go by many names such as process platforms, equipment platforms, mezzanines or even steel structures. Walk in Freezers Walk-in freezers are a type of large freezer into which people can walk. Walk-in freezers typically store food items, though they may also store liquids, at or below the freezing point of water. Abtech is a manufacturer of Modular Steel Mezzanines, including Single and Multi-Level Platforms, Mezzanine and In-Plant Office combinations, Crane Liftable Towers and Equipment Platforms. We can design a custom system that fits your needs. Installation is available or systems can be installed by end user. Each of our products, large or small, are built to be efficient, durable & versatile. Since 1982, Equipment Roundup Manufacturing has manufactured products such as mezzanines. Our mezzanine structures include mezzanine systems, mezzanine floors, industrial mezzanines & plant mezzanines. Like other customers, you will discover the difference our enthusiastic can-do attitude brings. We help you discover solutions to problems you may not have considered. Your success is our success. 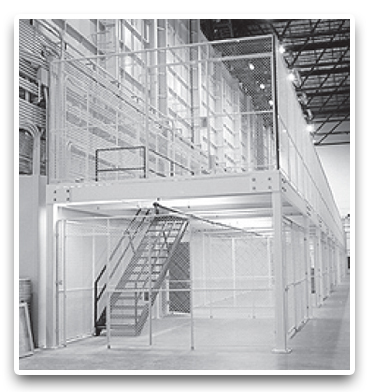 Since 1967, National Partitions has been the leader in pre-engineered industrial products. No one has built more modular warehouse rooms than National. As the pioneers in industrial modular construction, we conservatively estimate that we have produced over 75 million square feet of our products. Here at 4anOfffice.com we strive to be the best in the industry. We provide advanced solutions for Modular Homes, Buildings & Offices, Buildings-Pre-Cut, Prefabricated & Modular, Office Furniture & Equipment, Office Furniture & Equipment-Installation, and Clean Rooms-Installation & Equipment. With over 30 years of experience in supplying the finest quality products at competitive prices; FCP Inc creates mezzanines for industrial or commercial work environments. 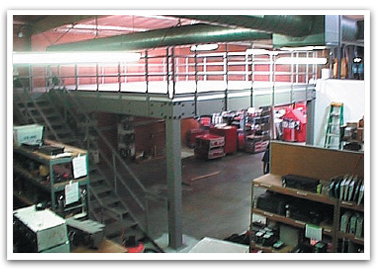 These include mezzanine systems, mezzanine floors, industrial mezzanines & plant mezzanines. Our structures have withstood fires & earthquakes & are designed to meet & surpass all the codes for any location throughout the world. Equipment platforms are a great way to maximize the potential of your workspace, even if you don't have a lot of floor space to begin with. A lot of equipment platforms come prefabricated which means that you can count on these structures to arrive in peak structural form. The design of an equipment platform is unique to the application in which it serves. Equipment Platforms – Abtech, Inc.
Because each application comes with its very own set of requirements and specifications, the equipment platform must be designed in a way that adheres to these needs, ensuring a perfect fit for the application. For example, while some equipment platforms do not need to support a lot of weight as they are simply used for product storage, they can afford to be a little more light weight than an equipment platform that must support the weight of manufacturing equipment. This is why working with a trusted equipment platform manufacturer is so important, because without the expertise, knowledge and experience in the industry, the product you might receive may appear to be what you need but could fail at a crucial point in your manufacturing process. A lot of equipment platform manufacturers offer custom designs based on your needs and specifications as well as offering on-site installation services in order to ensure that your equipment platform is going to offer the most value to your application. So while these products can provide you with more space seemingly out of thin air it is important to know that there are a lot of factors that go into constructing them in order to fit a certain application.